All iGo Ebikes are equipped with a diagnostic display as well as weatherproof twist locking connectors. Since service issues are displayed as error codes on the main display and all electrical connections are located in the front loom for easy access diagnosing an issue and quick repairs are a breeze by anyone. 24 Months against defects in material or workmanship regarding motor, controller, display, brake lever switches, throttle and all electric components. Battery has a separate warranty detailed below. 24 months on the frame & all conventional components such as fork, derailleur, shifter and brake calipers. 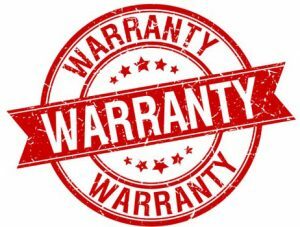 This warranty does not apply to wearable parts such as tires, brake pads or normal wear and tear items. Misuse or failures due to improper service, accidents, alteration, or abuse are not covered under any warranty. iGo will provide the part(s), Labor, & shipping of the parts needed during the warranty period. First 60 days iGo will provide the part(s), Labor, & shipping of the parts needed. After 60 days parts are provided but labor & shipping of part(s) is not included. The battery is covered for 18 months from the original date of bike purchase and is not transferable. If there is an issue with the battery the serial number must be provided. Replacement batteries will be covered by a 6 month warranty.